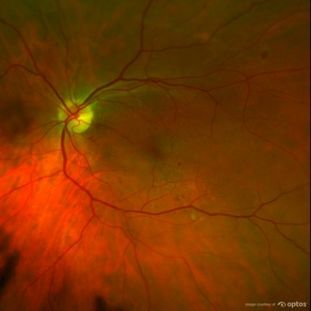 Digital retinal imaging (Optomap) allows our doctors to evaluate the light-sensitive lining inside your eye (retina). The high magnification and sharp resolution of the retinal tissue helps detect subtle vision threatening eye disease and can indicate underlying health issues like diabetes, macular degeneration, and high blood pressure. 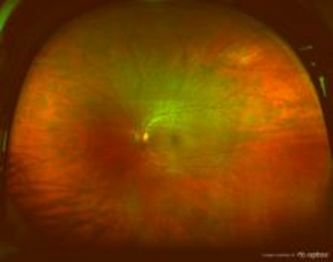 Every comprehensive eye exam should include an evaluation of the retina. 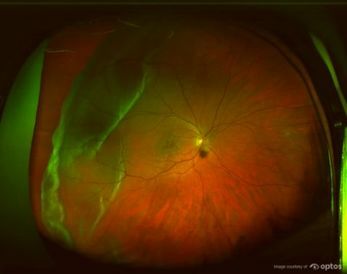 Digital retinal imaging helps to evaluate the retina and allows for comparison over time, analysis with computer software, and shows you what our doctor is examining. It is important to note that the Optomap does not replace dilation. 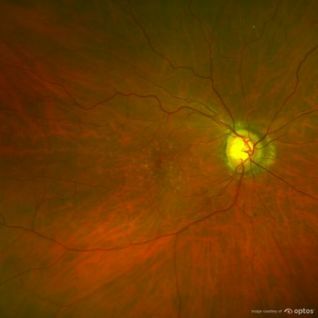 Optomap is usually not covered by insurance unless it's medically necessary to diagnose an internal eye problem. Our office charges a minimal fee of $39 for a digital retinal image for all adults and offer it to all students at $29.